If separation doesn’t really exist, why do we struggle? If you’ve been following me for a time, you’d know I’m always saying that we are infinitely connected to the one field of consciousness and that our true nature is unlimited abundance, unconditional love, infinite creative power, pure knowing and awareness and infinite potential and possibility. And at the quantum level we are not separate from any part of the creation – not from any body, any place, any dimension, any time, any thing, any experience, any abundance or any possibility. That makes us incredibly powerful when we remember to live from this level of consciousness. But as most of us aren’t quite there yet, our human 3D level self often feels separate from what we are wanting to experience. We usually have key themes showing up in our lives that cause us the greatest sense of separation, creating varying levels of discomfort, struggle and resistance. The sense of separation from this recurring thing, whatever it is, usually takes up a lot of our focus and energy as we try to gain the thing that’s lacking. It is a huge drain and distraction. But it has a purpose. It keeps us from being our true power. Because if we were to show up and be truly powerful we might scare ourselves to death! I was focusing on my separation from something. I know separation is an illusion. I know I’m the one keeping the separation in place for some reason, and I can feel it’s taking a lot of energy to do that. When I felt into who I would be without the distraction of all the struggle and effort, I could feel the power surging through me. But holding that amount of power didn’t feel particularly safe, (Imagine getting behind the wheel of a Supercar when you’re used to driving a Ford Fiesta!) – although it was thrilling. And as I was experiencing it I remember being unclear about what I was meant to do with this much power, but I had a very strong sense that to use power in the way we’re meant to, it needs to flow into something significant that we’re here to create in the world. We can’t just have it and do nothing with it because it would negatively effect us, maybe even burn us up and hurt us! So having this power represents a big responsibility. Essentially this power is love. Not romantic love, but the creative force of the universe that sees through all the blocks and limitations we perpetuate in our lives, that witnesses the truth in every situation, that sees the potential hidden within every person, that doesn’t judge world circumstances as good or bad, and sees the illusion of fear and powerlessness in those who would try and control by force, manipulation and violence. This love ultimately sees everything as coming from the intelligent Source of life that brings us the exact experiences we each need to evolve into our highest expressions of ourselves, and which will allow the Divine consciousness of Gaia/Mother Earth to evolve too. And when you steadfastly radiate this love you won’t get thrown off centre, get stuck in fear, lack or scarcity, take offence, get triggered, cave into pressure and other peoples’ agendas or lose your boundaries. So love is all you need – if you’re willing to take responsibility for this powerful force which wants to flow through you – because love is all there is. Why do we fear our power? So what stops more people from owning and expressing this level of love and power through their lives? 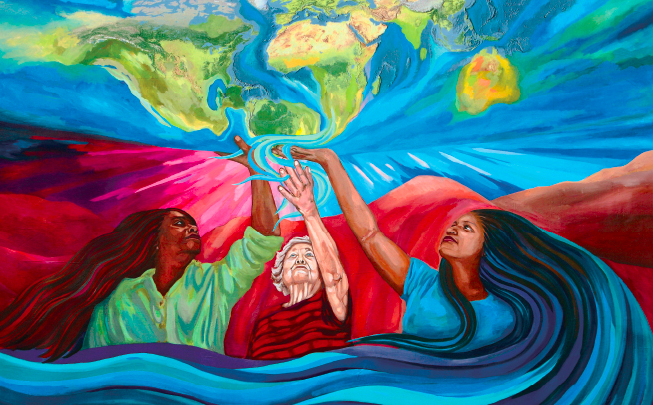 Well for one thing, when you’ve come in with a mission to help raise the consciousness on the planet and assist Mother Earth and humanity to ascend, you have to be willing to show up, be visible and be known for your gifts and what you stand for. And for Lightworkers and spiritual individuals doing this work we have a lot of resistance ingrained from past centuries of persecution, torture and death for being seen to be practicing ‘the healing arts’ at the hands of those who had power at the time. These inner gifts and awareness that are awakening in so many people around the planet now are aspects of the Divine Feminine. I’ve been fascinated by what I’ve been reading recently about how women’s power was originally taken from them. Archaeological findings from the Upper Paleolithic Age, about 25,000 to 30,000 B.C.E. suggests a large area of the planet was home to those whose earth-based spirituality experienced the Divine as both feminine and masculine. This ‘Old Religion’ is the shamanism of ancient Europe and the Middle East. It was thought to be very similar to Taoism, and Native American and other aboriginal spiritual practices. The Goddess was as important, if not more important, than the God, because she could be seen, touched and directly experienced in the physical. And Earth, nature and womankind were the essential providers of all life and sustenance, whereas the God was mysterious and more remote. 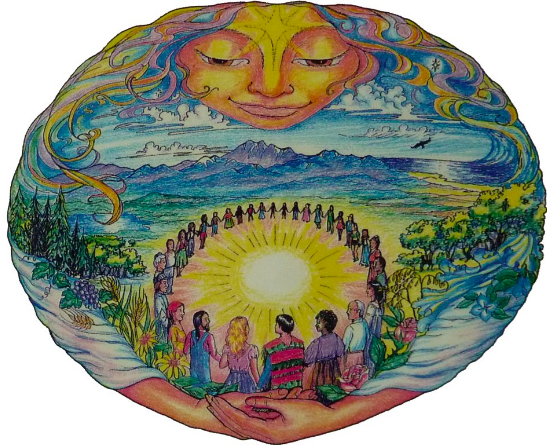 Women held the office of healers, leaders and creators because they were considered to be naturally connected to the Divine and able to receive inner guidance for the good of the community. Because of this reverence, women’s power and women were valued deeply. It must have benefitted the whole community, because this peaceful, connected way of living and being spanned many thousands of years before our modern day patriarchal religions and cultures over-threw it. As I was reflecting on this, I wondered how powerful our female ancestors really were back then. What was truly possible for a woman to create when she was free to be powerful without the centuries of conditioning that has kept modern women in her place, under the confines of male control? These days we’re able to create much more magic and miracles now we’re collectively waking up and embodying universal laws as part of daily life, such as Law of Attraction. But when you first start experiencing what doesn’t appear logically possible it feels profoundly mystical and unexplainable. So what more, I wonder, is possible today if you had no doubts about your own power or fear of using it? 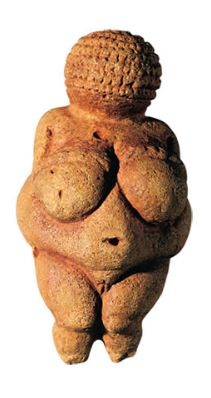 Where did the Goddess-worshipping cultures of pre-history go? It’s suggested that life-threatening environmental factors may have caused more aggressive patriarchal cultures in different parts of the world to leave their territories and take over the lands of the peaceful Goddess-worshipping ones by force. Many thousands of years later, as world populations grew and Christianity, Islam and Judaism spread, women’s power and the Pagan cultures that honoured the sacredness of women were feared, seen as a threat and suppressed. Worship of the Divine Feminine was outlawed and the earth, as the source of all life, was disregarded as Divinity and seen as a resource to be plundered. In Europe’s dark history from the1400s to 1700s, the Church demonised women to hide its own evil deeds. 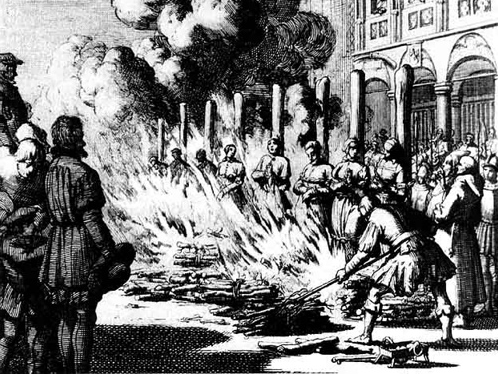 Witch-hunts caused tremendous damage to the status of women. Laws were passed forbidding women to inherit, to own property, to receive an education, to divorce, to have an abortion or have any kind of autonomy. The medical profession was growing, which women weren’t allowed to join, and they were no longer permitted to openly practice their healing arts, which was deemed witchcraft. The nobility forced peasants off the land and into the cities, so they lost connection with the cycles and energies of nature. And of course, the Church and nobility gained all of the property, wealth and lands of anyone who opposed them or were in support of their opposers. In 1486 two Dominican Inquisitors wrote a book called ‘Malleus Malificarum’, codifying the misogyny of the Catholic Church. It was full of the vilest lies ever told about women and those who practiced The Old Religion. It authorised the use of torture to secure confessions and created a witch-hunting hysteria throughout Europe. Sanctioned by the Pope, it apparently outsold every book other than the Bible. It became a guide for witch-hunters, and they used it to commit all kinds of heinous crimes of cruelty and violence. And it was generated by the Church’s fear of women’s power, the Divine Feminine and repression of sexuality, which of course the Goddess worshipping cultures revered as the creative force that brought new life. During that time of tremendous repression it’s thought that up to 200,000 people were put to death, which proportionately, compared to Europe’s population today, is thought to be around nine million people. To eradicate further the Pagan culture and worship of the Divine Feminine, sacred places of worship had churches built on top of them, and traditional feast days and celebrations honouring the Goddess and the seasons were hijacked, replaced with Christian festivals. As a result of vilifying the inherent power of women and the Divine Feminine we became split within ourselves. Disconnected from the earth, from one another and from love – our true power – living much more from fear and control, rather than trusting the rhythms and flow of life. In the western world history marched on. 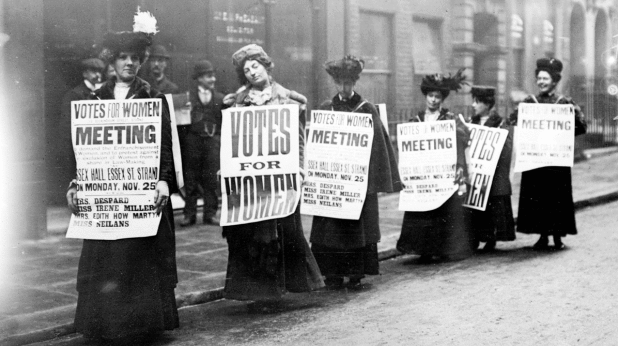 Women started to fight for their rights, and just over 100 years ago the first women gained the right to vote. And women continue to move ahead and gain traction in restoring their power and status. But not only have they had to fight damn hard to make inroads, and prove themselves as worthy and equal to men in society, women have had to break free from their own mental cages that have kept them trapped and small, and face the fear of showing up as powerful women, the life-threatening consequences of which are embedded deeply in the collective consciousness. So as a woman, if you have had a measure of success so you know the potential impact of your work in the world, but you seem to have hit a personal wall that no end of healing, courses, therapy, workshops, transformation tools and coaching programmes will let you move past, then maybe you are unconsciously hooked into this collective consciousness. Perhaps an aspect of you is stuck, looping back to this huge morphic field that is still very much alive, fed by modern day cultures around the world that still diminish the power and sexuality of women, where pain, suffering and death might be yours if you dare to show up in your true power or question the authority of men. The protective part of you senses this and does everything it can to keep you safe – and that stops you moving forward. The good news is, morphic fields such as this are just fields of information that we habitually and unconsciously connect to, maybe through karmic imprints of multiple past lives… but we are not stuck with them. 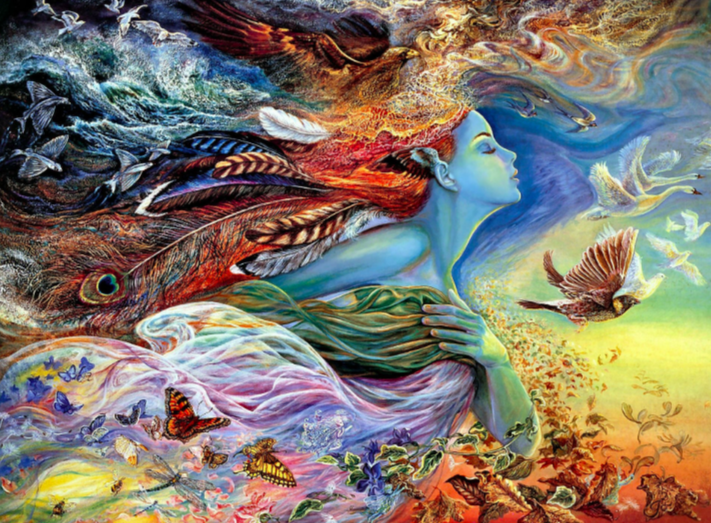 We women are majestic, powerful, connected, magic-weaving creators, and when we consciously choose to unhook from these unhelpful fields that control us, and connect with resourceful energies that serve and support us, nothing can stop us! If this speaks to you, and you’d like to explore how to release yourself from fears, limiting beliefs and morphic fields that hook you into the collective consciousness of women’s past pain and suffering, then maybe I can help. Freeing yourself from morphic fields is fast and easy, but it takes awareness and consistent application to fully release yourself. To learn more about how my sessions can help you do this so you can claim your power back, why not book in for a Possibility Call with me? 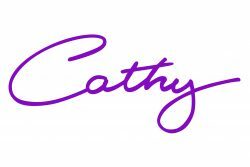 You can book a time to talk here (click to access my online schedule), or email me at connect@cathyballard.com. I look forward to introducing you to your inner magic and power!